Much is said about the Brazilian market and the performance of Argentine wines in the last year, but really, what do the numbers on the giant Southern Cone say about their outlook for the indus-try? 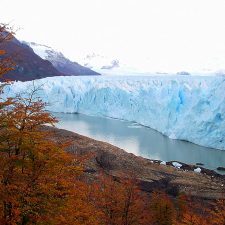 How can Wines of Argentina, the organisation responsible for the image of Argentine wine in the world, confront it? According to Euromonitor data, the growth of wine consumption in Brazil is important, generating great expectations given the low per capita consumption that is evident. 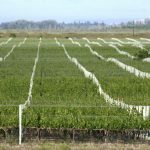 It is estimated that by 2016 the market for imported wines will represent a business of USD$ 372 million, 42% more than the current USD$ 261 million. Macro-economic policies in the last decade in Brazil have generated sustained economic growth by significantly reducing the traditional volatility of it. The country’s economy has become stronger and more diversified in recent years which has attracted investment. However, in the 2013 Doing Business report, Brazil ranked 130th in the world for its high levels of taxation and bureaucracy extended to all kinds of procedures, issues that need to be resolved by the administration. The alcoholic drinks market in Brazil is very dynamic and is dominated by beer with 89% of the volume consumed and which is gaining market share at the expense of spirits, including Cachaça. In this context, until recently, drinking wine in Brazil was restricted to people with high purchasing power and refined tastes. However, in recent times it has come to be considered an accessible drink like any other. It is becoming a cheaper product, easy to find and purchase and win supporters in all classes. As for preferences, consumers are heavily inclined towards the red still wines that stand out with more than 74% of consumption and growth in sales volume of 15.5% annually in recent years. A growing trend preference for sparkling wines is also apparent. 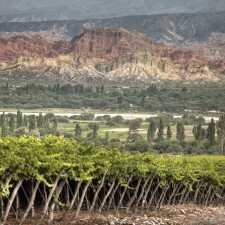 In these two types of wine, Argentina has advantages it can exploit. Consumption is concentrated in urban areas of the country, mainly in the southern and southeastern regions, highlighting San Pablo and Rio de Janeiro as the largest consumers, although some special-ists note the potential of sparkling wines in the north due to the climatic conditions and the idiosyn-crasies of its inhabitants. 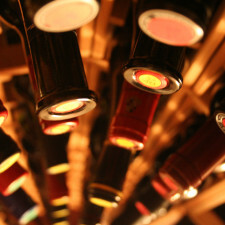 About 80% of wine consumption is Brazilian wine although imported wines are gaining market share. 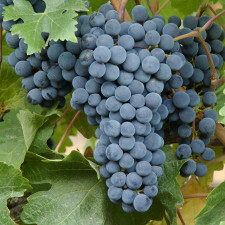 Chilean wines have a share in the volume of imports with 41% and Argentina follows with 20%. The United States and Spain have the highest growth, though still with a low market share. Finally, it is important to note that Argentina has 212 wineries exporting to Brazil, the highest pres-ence after the United States, and the price range that was most successful in 2012 was the Super Premium (27-40 USD$ per box) and the segment of Premium wine, between 20 and 27 dollars a box, was the only one that showed growth in both value and volume compared to 2011. Wines of Argentina, in addition to helping guide the export strategy of Argentina, studying and analyzing the changes that occur in consumer markets, its aim is to contribute to the consolidation of Argentina among the main wine exporting countries in the world and to contribute to the overall success of the wine industry, by increasing the positive perception in the trade, of opinion leaders and consumers. According to the Attractive Markets Model developed to guide strategy and budget allocation, it considers Brazil as one of the focus markets and that is why for 12 years we have had continued presence in the market, developing an annual plan of activities and having an office there. 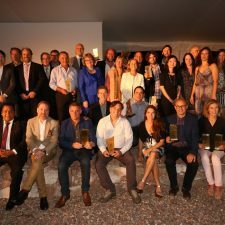 The actions which are carried out are based on the marketing and communication of the benefits and differential attributes of Argentine wine, which thrive on consumer education and sales chan-nels. 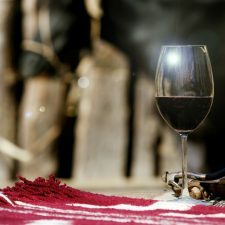 In recent years we have undertaken many activities ranging from large tastings for the market (im-porters and distributors), press and consumers; lectures and conferences; publications and organizing trips to our country for importers, distributors, journalists and opinion makers, to visit the various wine regions. 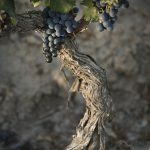 Also, from 2011, Wines of Argentina created another very successful communication tool with Malbec World Day, celebrated on April 17 as the anniversary of this trademark strain, commemo-rating the date on which Michel Aimé Pouget, who introduced the variety in Argentina, founded the Agricultural Quinta de Mendoza (Base of the Faculty of Agronomy). 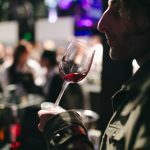 This year, Malbec World Day, called “Malbec Making Noise” had its flagship event in Sao Paulo and was the first wine fair in honour of this varietal, aimed at young people aged 25 to 35. Its objec-tive included tasting Malbec wines, but unlike other shows, they were arranged according to their types and styles (still rosés, sparkling, young reds, medium-bodied reds, structured reds, sweet, etc.) Another attraction of the show was downloading the event’s free, official application, available for iPhone and Android, in which one could find all the wines pre-loaded, so that attendees could click “Like” and thus have them in their favourites. Emphasise education of Sommeliers and Consumers. Marketing activities through social networks and major specialised media, both digital and printed taking into account the new figures emerging with wine blogs. 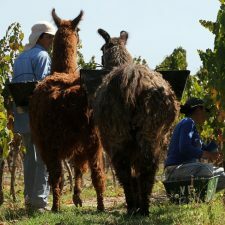 To broadcast Argentine wines among the trade and consumers in an educational manner through dynamic and structured activities like lectures or seminars with music, food or other elements to clarify product consumption. Finally, and thanks to the young team with Wines of Argentina in Mendoza and Brazil we have achieved a strong presence on social networks, especially Facebook and Twitter. 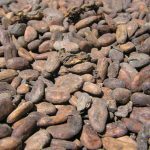 ...Are blends the next Argentine revolution?